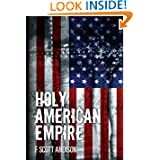 F Scott Andison has written a book that is intriguing, powerful, an on the edge of your seat thriller that makes you feel as if you are in the Twilight Zone or another world. Set in the year 2020, the characters are both good and bad, and spare no expense in putting their ideas put into play. Those who are at the mercy of the government cannot or will not let their plan go any other way but how it has already been pre arranged.Faith must carry out her father Gales wishes and as well carry the bloodline for him. He has left messages for each player and because he knows the players better than they know themselves they have no choice but to comply with Gales rules. They also don’t like the fact that Faith is in charge of the trillions of dollars that only she controls.The details for the plan mean that many will perish. Some players such as Audry who are not what they seem on the outside and that is what makes the twists and turns so interesting. When she finally meets Dave she realizes that he too has been manipulated into doing what he doesnt believe in for the sake of this plan. With each step of the plan, it means that each and every person has to comply with the rules or risk losing everything they have. With manipulated media coverage and the appearance of the leader not being presented as he truly is, you will feel this writer’s tremendous imagination. He takes us places we only dream of and the stuff that movies are made of. Imagine a futuristic place where you are just another liability and your life is not truly your own unless you comply with what the higher office requires. You must be of a certain breed or you will be forced to leave your home, life and family as you know it. This is one that will make you stop, think, then realize that it is only fiction, but could possibly be a reality. This story will engage your imagination and make you wonder if this type of scenario is possible. Dr. Ronald R. Mueller Ph.D.
How Self-Published Author Sold Over 800,000 Books! How to Get Book Bloggers to Review Your Book! Mary Gardner on GBT Trivia Challenge – Subway Gift Card Up For Grabs! GBT Trivia Challenge – Subway Gift Card Up For Grabs! How Do You Balance Writing and Family? STOP FAILING AND START LOSING WEIGHT!